Knox Bro's Sabroso Mexican Seasoning. The best for chicken and pork! For the love of Mexican food we created Knox Bro's. Sabroso, Mexican style meat seasoning. 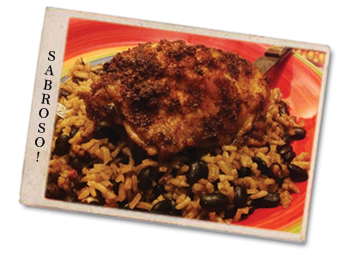 Our Sabroso seasoning is a blend of cumin, achiote (annatto), paprika, garlic, oregano with a touch of cayenne. Excellent on meat of any kind but certainly a favorite for chicken and pork. Enjoy flavoring grilled, BBQ, pan fried, baked, broiled or braised meats. This seasoning can also be used to flavor rice dishes, bean dishes, and in soups and sauces. Sabroso means tasty and tasty is what it is. Mix together and marinate meat for 30 minutes or overnight. Excellent on pork and chicken.